School is out and kids are ready to play! Put the ‘FUN’ in FUNCTIONAL! There are so many ways to make activities fun while still working on skills. Examples include using a spray bottle to water plants, making homemade popsicles, doing hopscotch and creating rainbow letters (draw big letters with sidewalk chalk and trace inside them with many colours). Incorporate summer events to make it more functional for your child (e.g. trace and colour a maple leaf on Canada Day). Encourage Independence in Self-Help Skills. If you find you do not have to rush out the door every day during the summer, this is a great opportunity to take the extra time to allow kids to work on self-help tasks on their own. Examples include getting dressed, brushing teeth, spreading jam on toast, making their own bowl of cereal, opening their own containers, packing their own lunch for a picnic and tying their shoes. Stay Active! The warm weather is perfect for staying active. Visit the local park/playground, go swimming at an outdoor pool, walk around the Stampede grounds or fly a kite. Go on a nature walk and collect items along the way. Find yourself a rainy day? Make an obstacle course in the house or better yet, dress for the weather and go puddle jumping or look for worms. Just PLAY! After a long and busy school year, kids should be encouraged to engage in unstructured play. This is a child-led activity that fosters improvisation and creativity. Allowing them to explore gives them freedom and control, while building confidence and resilience. Games that involve cards, dice or other small pieces work on dexterity. Playing with a friend incorporates important social skills like turn taking, empathy, and cooperation. Summer Activity Calendar. 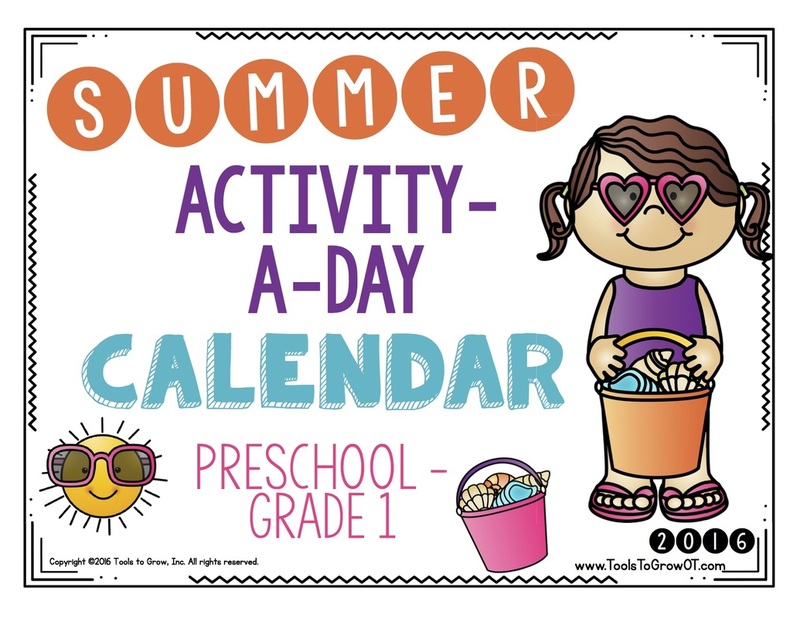 A summer activity calendar has been provided by your child’s teacher. Parents are not obligated to complete these activities; please use this resource if you want further suggestions/ideas to support skill development over the summer. A PDF attachment, with all the resources needed, can be found on the school website. Have a ‘FUN’tastic summer!